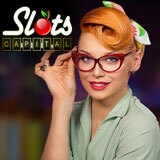 Slots Capital Casino has just re-launched its website. It looks great and its easier to browse all their games and bonus offers now. But the neatest new feature is a weekly blog for slots players written by Slots Lotty! She'll be dishing info on bonuses and new games for as well as strategy tips for savvy slots players. Variety of bonuses throughout June celebrate launch of new website. Slots Capital's newest game from Rival Gaming is Chariots of Fire. 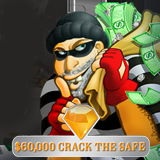 Scatters trigger free spins with one or two reels all Wild. Like all of its new games, its in the online casino (download or instant play) as well as the mobile casino.